Liaison International Insurance provides comprehensive medical coverage for individuals and families traveling outside their home country. This temporary insurance plan pays 80% of the first $5,000 and 100% thereafter for covered expenses after the deductible is satisfied and offers travel medical protection including out-patient treatment, in-patient treatment, emergency services, emergency medical evacuation, and more. Liaison International Insurance covers trips between 5 to 45 days and allows visitors covered under the policy to visit any doctor or hospital within the PPO Network. Liaison International Insurance is best suited for parents visiting the US, international tourists visiting the US, and US visitors and workers including B1, B2, H1, and L1 visa holders. How to Buy Liaison International Insurance? Bought this policy for my mother visiting Canada. 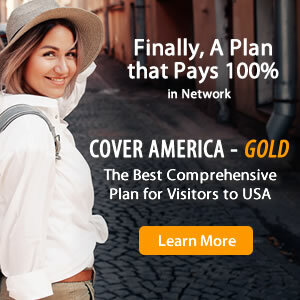 I was looking to get patriot international or Atlas International plans however, decided to go with Liaison international since it was cheapest option with the same coverage as others. I like the way this plan is designed and also provides coverage for pre-existing coverage, emergency evacuation, trip interruption and pays 100% upto policy maximum. Highly recommend it. We got the plan to make sure we have peace of mind for our next trip to Mexico. The price was fair enough. The only thing we were not happy about is they send emails for renewing. We go about 5 emails for renewing the policy.